Suitable for free mowing of fence posts. No tedious free mowing necessary with the brushcutter. 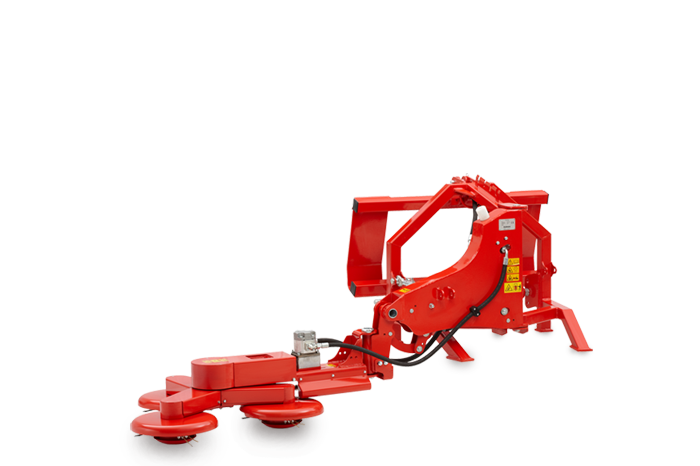 Hydraulically adjustable from the transport position to the work position. Steel blades + Nylon threads. Continuous operation of 3rd control circuit. artificial slides on mowing plate (for operation arround metal posts). left mounted (recommended for Telehandler). Electronic control via separate control box (requires 12 V socket in the cabin).